It is not a rare occurrence for individuals and families to deal with financial challenges. Moreover, it is not rare for these individuals to seek help with their debt problems. No matter what caused their debt problems, it is important that debtors in New Jersey and elsewhere understand they have real options to obtain debt relief. But there are hurdles to overcome, such as services preying on a debtor's vulnerabilities, scamming the debtor out of money and putting them in a worse off situation. How Do You Avoid Credit Counseling Scams? How do you avoid credit counseling scams when seeking debt relief? While credit counseling is a common step taken before a consumer applies for other debt relief options or files for personal bankruptcy, it is not always easy for debtors eager to get out of debt to identify a reputable company from one that is taking advantage of them. To avoid falling victim to a credit repair scam, debtors seeking debt relief should note certain red flags. One major red flag is a debt relief company that seeks payment before services are provided. Another is a company that does not inform the debtor about their legal rights and possible actions that they could take themselves for free. If a company recommends that the debtor should not directly communicate with a credit bureau or suggests that they try to create a new credit report by replacing their Social Security number with an Employer Identification number, this is also a red flag. 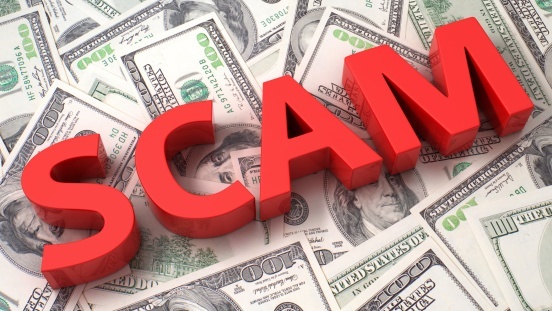 Lastly, if the company provides advice such as disputing every provision of the debtor's credit report or initiating an action that appears to be against the law, debtors should understand that this is not only a red flag of a scam but also a situation that could result in the debtor committing fraud, subjecting them to prosecution. Understanding the red flags of credit counseling or credit repair scams is crucial for those seeking assistance with their debt problems. It is important that debtors work with a reputable agency that does not make promises that are too good to be true. Those unsure of their situation or if they are dealing with a reputable organization can contact the New Jersey state consumer agencies or the local Better Business Bureau. Moreover, debtors may want to consider obtaining legal advice about their options, rights and possible debt relief methods. If you need help with your debt situation, contact a personal bankruptcy lawyer from our law offices today for a FREE consultation. Source: FindLaw, "Avoiding Credit Repair and Credit Counseling Scams"